← Remember When Child Sacrifice Was Not Okay? Everyone should have a Wakanda. But it’s not like that. Wakanda is the fictional nation ruled by King T’Challa who is also The Black Panther. Although most of the world knows Wakanda to be a poor country of farmers, the truth is that Wakanda is the world’s only source of vibranium. And vibranium is . . . well, go watch the movie. Along with being a technologically superior nation, Wakanda enjoys a long and revered tradition of honor and peace. They have never been colonized. Their resources have never been taken from them. This is what I heard the brilliant Jenn Jackson say on Sunday night at a showing of Stay Woke, a documentary about the Black Lives Matter movement by Laurens Grant. Laurens also happens to be brilliant. As we grapple in the United States with issues about everything from settling refugees to protecting DACA people to selling assault rifles to offering health care to the poor to expanding mental health care – we are actually talking about what our Wakanda looks like. Although we do not have unlimited resources in the United States, we are rich. We. Are. Rich. And yet our riches are hoarded by an elite few whose Wakanda involves something different than the one I’ve described. We have the capacity in the United States to feed every child, offer health care to every citizen, and end school shootings. But those with power choose not to do those things. As children are shot in their classrooms or white supremacists march in Charlottesville or unarmed Black men are shot for violations that White men would get a pass for, we sometimes hear that “This is not who we are as Americans.” But the heartbreaking truth is that – actually – this is exactly who we are. This is who we are. But we don’t have to be this way. We could be more like Wakanda. Or we could actually be the America that once welcomed immigrants with these words, the America that fought against fascism in the 1940s, or the America that created blue jeans, hamburgers, donuts, and Google (thanks to immigrants.) We could be the America that dismantles racism. We could be the America that considers poverty to be a sin (rather than calling the poor sinful.) We could be the America that gives every child the possibility of a good education. Everybody should have a Wakanda. We are the ones who could make it more like that. 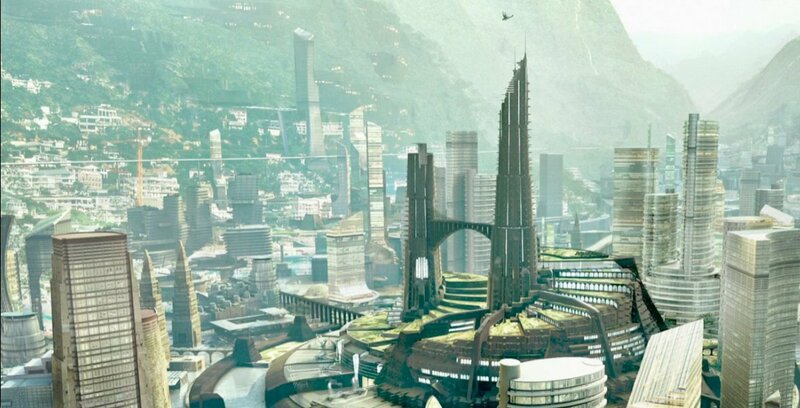 Image of Wakanda from The Black Panther.